P’Harcourt refinery resumes operation - BlogIT with OLIVIA!!! 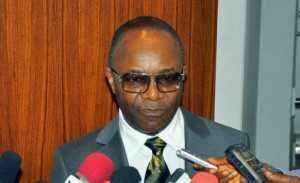 HOPES of regularly supply of refined petrol in-country brightened yesterday as the Nigerian National Petroleum Corporation (NNPC), announced yesterday that the Port Harcourt refinery had recommenced operations.The Port Harcourt refinery has the capacity to refine about 210,000 barrels of crude oil per day translating to five million litres of petrol. Though, the Group General Manager, Group Public Affairs, NNPC, Mr. Garba Deen Muhammed, admitted that the refinery was not yet producing at full capacity, he added that the current production level remained at three to five million litres daily.The resumption of the refinery to production would help cushion part of the biting effect of petrol scarcity, especially in the South eastern and South south region of the country.